Imagine cruising on a crewed charter yacht through the crystal clear waters of a charter yacht location like Greece! 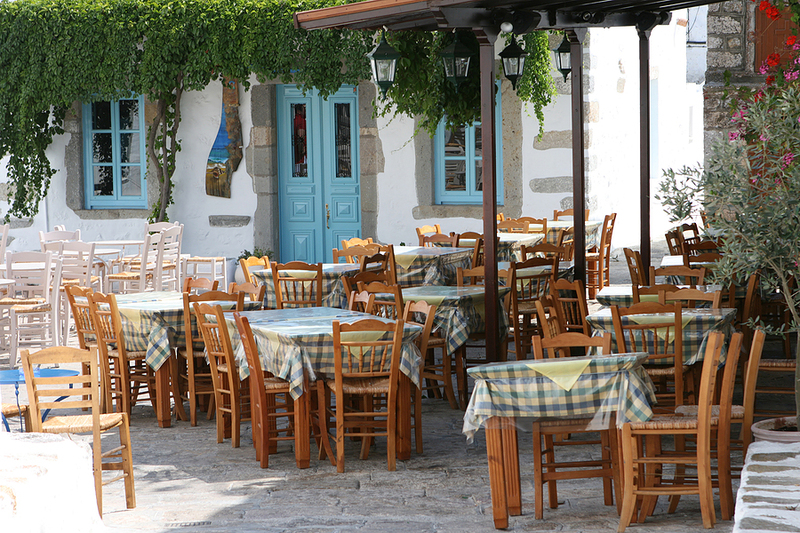 With over 6000 islands to visit on a crewed yacht charter itinerary in Greece, there is something for everyone. Greece is a yacht charter destination that is a perfect location to explore on a crewed yacht charter, as many of the islands and many of the myriad of anchorages available can only be visited by a private charter yacht. On a yacht charter in Greece cruising through the Greek Islands you might find yourself the only visitor to a remote island or enjoying the isolated splendor of your own anchorage with no one else in sight. Combine visiting islands in Greece that can only be visited by private yacht charter with islands in Greece that we all know and love such as Santorini and Mykonos on your own private yacht charter on your own unique yacht charter itinerary, cruising where you want, when you want. The Ionian Islands, in the Ionian Sea, are located along one of the major ancient trading routes and so have a strong Venetian feel as many of these islands were owned by the city state of Venice for over 300 years. 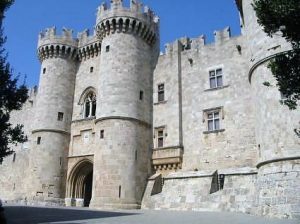 A minimum of one week is best to cruise from the southernmost island of Zakynthos to the northernmost island of Corfu. The Ionian Islands are considered to have some of the most beautiful beaches in the world which is certainly true about Shipwreck Beach on Zakynthos, assuredly one of the most beautiful beaches to be found worldwide. The Saronic Islands are close to Athens for a lovely yacht charter cruise in generally protected waters. After boarding your charter yacht, within a couple of hours, you will be cruising into a whole different world; life in the Greek Islands. The Saronic islands are very close to the Peloponnesian Peninsula mainland of Greece also offering lively harbors and historical sites to visit. 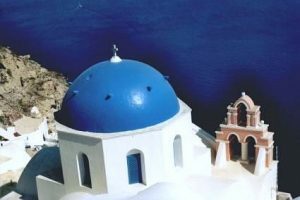 The Cycladic Islands are probably the most well known and photographed of the Greek Islands to cruise on a yacht charter in Greece, and include the islands of Santorini and Mykonos. With a distinctive style all their own, the Cycladic Islands are covered with white cubist style “sugar cube” buildings with windows, doors and domes painted cobalt blue, a signature of the Cycladic Island style. 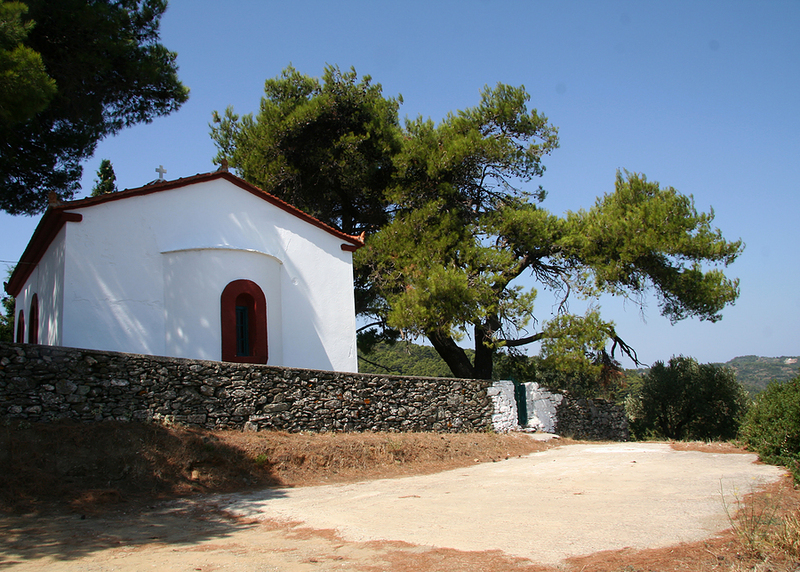 Windmills are also common in these islands as this island group is exposed to the sultry Meltemi Winds that blow across the Aegean Sea. 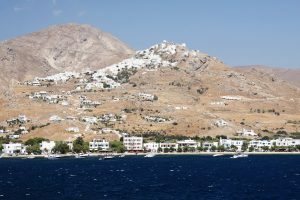 If the Meltemi Winds, which can blow at anytime, blow too strongly, cruising on a crewed yacht charter in the Cycladic Islands might not be possible for your charter itinerary. So while the Cycladic Islands can be the intended itinerary of any Greek Island yacht charter, this itinerary is not a guarantee as the Meltemi Winds, if blowing too strongly, may require another itinerary to be chosen for a yacht charter in Greece that are protected from the Meltemi Winds. 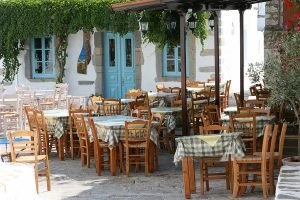 The Sporadic Islands are in the northern Aegean Sea and are probably the most remote of the Greek Islands, and therefore are the most traditionally reflective of age old Greek Island life. The beautiful on location scenes from the recent hit movie “Mama Mia” were filmed on several of the Sporadic Islands. The Sporadic Islands are set further apart from one another and require more cruising, however the untouched nature of these islands is well worth the extra effort. The Dodecanese Islands are located along the Turkish Coast, and have a long history of interaction with this mainland, usually in confrontation and battle. In fact the islands are so close to the Turkish mainland that they can be seen from Turkish villages and beaches. Crusader castles can be seen dotting the island landscape along with ancient ruins. These islands were also well known for sponge diving, and played a significant part in the religious history of this area. 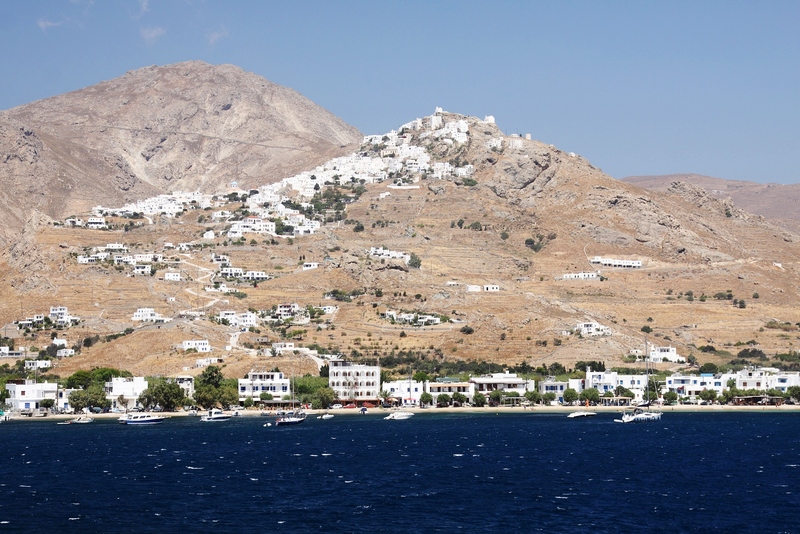 Try a charter cruise along this string of Greek Islands only or include some of the Turkish mainland in a yacht charter itinerary when exploring and enjoying this area. With over 6000 Greek Islands waiting to be explored on a yacht charter in Greece, the sky is the limit for choice of itineraries of what to do and see on a fabulous yacht charter cruise through the islands of Greece.